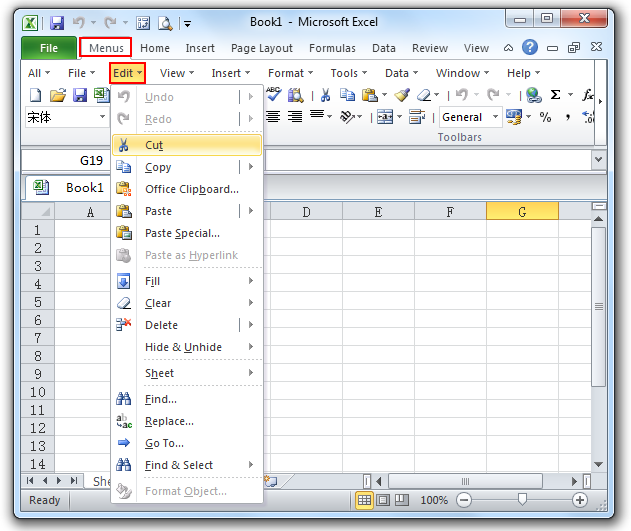 If the Ribbon take up much space and you are fond of the classic style Excel 2003 interface, just take a look at this add-in. you can click Menus tab to get back the classic style interface, and then you will find the Edit menu easily. Click the arrow next to the Tools; you may get the familiar functions in the drop down menu. The Ribbon interface has redesigned the Edit menu greatly. There is no a corresponding Edit menu in the Ribbon. The functions listed in the Edit menu before have been regrouped into different tabs. For example, you can find cut, copy, paste functions in the Home tab > Clipboard group. 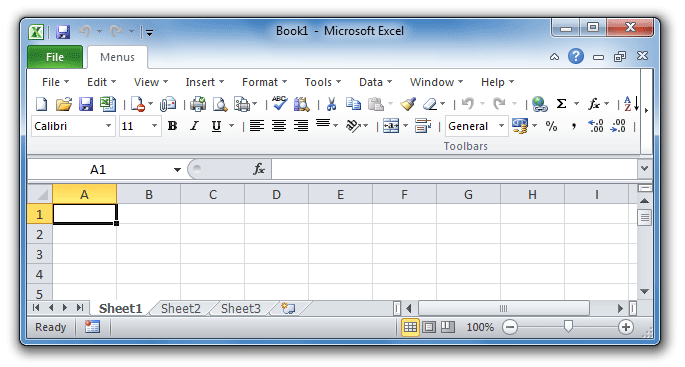 Brings the familiar classic menus and toolbars back to Microsoft Office 2007, 2010, 2013, 2016, 2019 and 365. You can use Office 2007/2010/2013/2016 immediately without any training. Supports all languages, and all new commands of 2007, 2010, 2013, 2016, 2019 and 365 have been added into the classic interface.